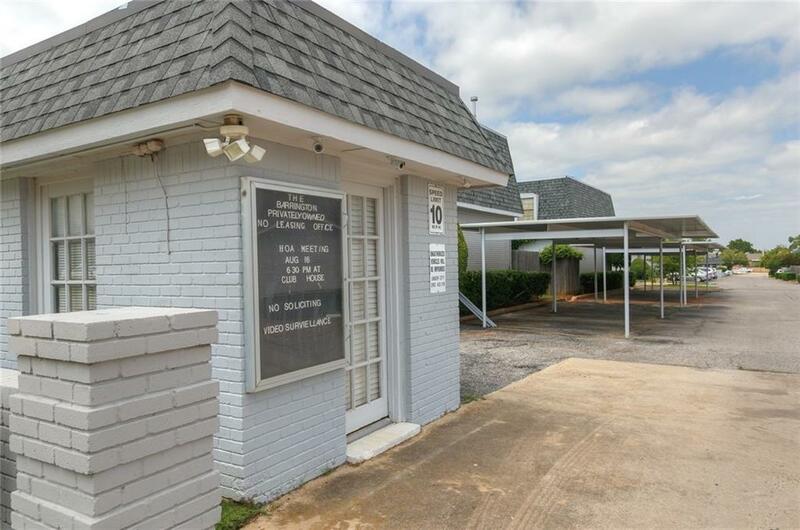 Super cute and clean condo conveniently located close to restaurants, entertainment, Lake Hefner, highway and turnpike access. Lovely Quail Creek area condo boasts remodeled kitchen, including gorgeous black granite countertops, updated sink, hardware and appliances. Roomy master suite has walk-in closet. Cozy private covered and enclosed patio. Front door is just a few steps from covered and lit parking spot with security cameras. Nice view of and access to courtyard. Monthly $147.46 HOA includes access to well lit laundry and mail rooms, meeting/recreational facility, exterior insurance policy, water, trash & sewer service, lawn care, exterior maintenance and insurance policy. Pet friendly area. Buyer to confirm school information. Oneyear service agreement in place. Offered by Susan D Woodward-Owens of Re/Max Preferred Properties. Listing provided courtesy of Susan D Woodward-Owens of Re/Max Preferred Properties.